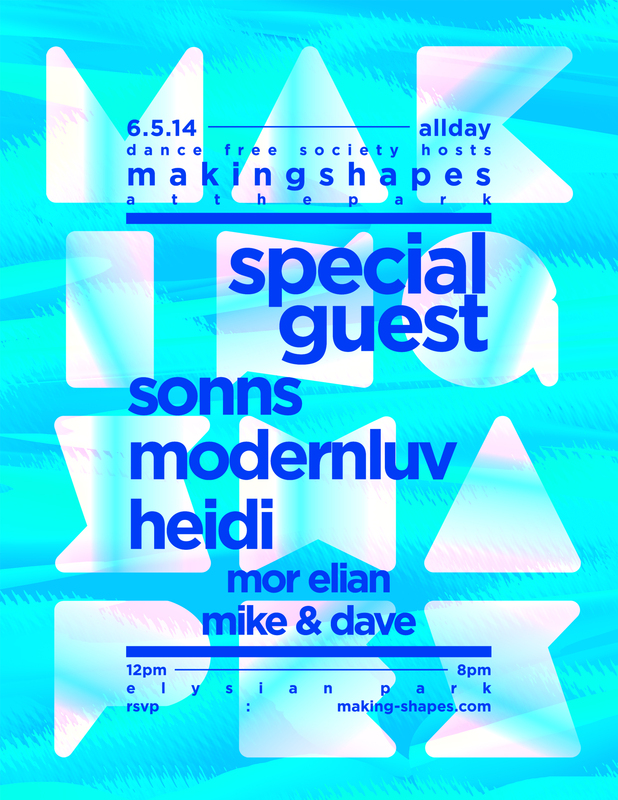 Friday, September 26th Downtown Los Angeles will be graced with an all night affair hosted by the awesome folks at Making Shapes. The night will feature the very talented Bulgarian DJ/producer, KiNK, who will be holding down the event with a special live performance. The night will also include Buenos Aires based Comeme/Kompakt favorites DJs Pareja as well as SF Spectral Sound go-getter Matrixxman. I can't forget the two residents that will be making all this happen and starting off the magical evening with a bang; Sonns and Jeniluv. 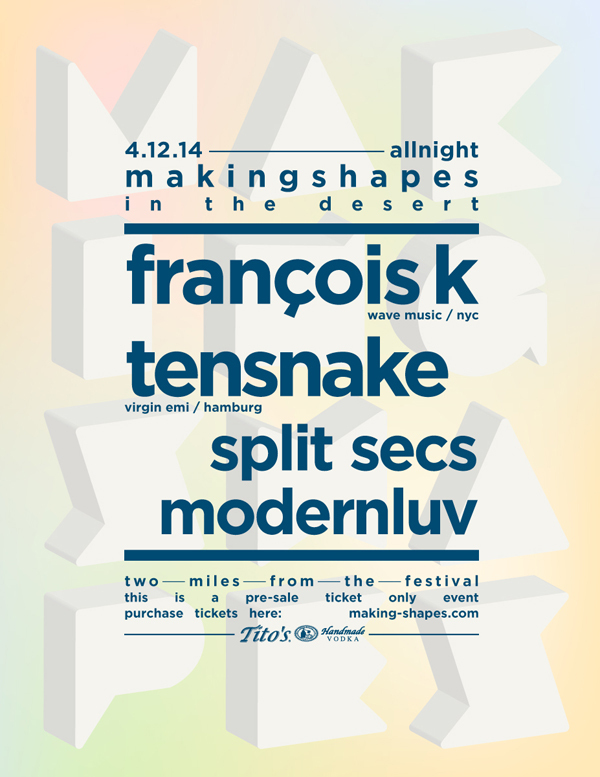 With parties dating back to 2010, Making Shapes will be holding its first warehouse gig of the year following their two past successful events in the desert and the park earlier in 2014. Its going to be great time filled with innovative, groovy, pulsating dance rhythms that the mind, body, and soul absolutely wont be able to deny. You can RSVP here and get discounted advanced tickets over at Restless Nites.